① Is Friction Slowing You Down? How do we define friction in the workplace? Friction lowers speed and makes your business vulnerable to disruption. Friction is also the source of frustration and fatigue for your employees and co-workers. When should it be eliminated? How can it be eliminated? Is friction ever necessary? Join us for a conversation on friction in organizations, and find out why harnessing and fighting friction is an essential element of leadership. Scaling-Up Excellence tackles a challenge that confronts every leader and organization - spreading constructive beliefs and behavior from the few to the many, and making sure that people do the right thing even nobody is looking at them or monitoring them. The two challenges of scaling excellence are getting people to do MORE and getting them do it BETTER. Put another way, the essence of leading change is to scale excellence. Scaling is a skill necessary for leaders of small startups, or teams, or departments, and large organizations. The key choices that leaders face and principles that help organizations to scale-up without screwing-up are strikingly consistent -- whether the task is to grow a Silicon Valley start-up like Pulse from 4 to 20 people, double the number of lawyers at Google, spread best practices for selling beer from the best U.S. Budweiser distributors to the rest, open a new KIPP charter school in Washington DC, grow the Joie de Vivre Hotel chain, open a See's Candy store in Texas, reduce drug treatment errors in San Francisco area hospitals, or open Home Depot stores in China. Build a mindset of accountability by designing hot causes and cool solutions. Be a Catholic who replicates or innovations or a Buddhist who creates variety. Subtract cognitive load than add to it. Use subtle cues that touch the five senses to propel excellence. Design incentives to juice effort. Create scaling capacity by increasing talent density. 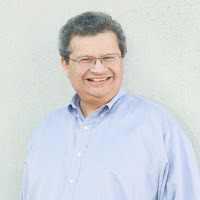 Huggy Rao has continued to study and work with organizations that are bent on changing for the better since the publication of Scaling Up Excellence in early 2014. As the book emphasizes, spreading and sustaining excellence (or any other flavor of organizational change) isn’t simple, isn’t easy, and the work is never done. Yet there are certain essential, and sometimes surprising, methods for leading change that are emerging from their ongoing efforts to understand how and why organizational change happens, tracking the best academic research on change, and discussing their emerging ideas with leaders from diverse industries who are knee-deep in such always messy but often rewarding adventures. His research has been published in journals such as the Administrative Science Quarterly, American Journal of Sociology, American Sociological Review, Academy of Management Journal, Organization Science and Strategic Management Journal. 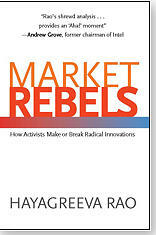 He is also the author of Market Rebels: How Activists Make or Break Radical Innovation, Princeton University Press. 2009. He serves as the Editor of Administrative Science Quarterly, and has been a member of the editorial boards of American Journal of Sociology and Organization Science and Academy of Management Review. He has been a Member of the Organizational Innovation and Change Panel of the National Science Foundation. He is the Atholl McBean Professor of Organizational Behavior and Human Resources at the Stanford Graduate School of Business. And he is a Fellow of the Center for Advanced Study in Behavioral Science, a Fellow of the Sociological Research Association and a Fellow of the Academy of Management, also at Stanford University. 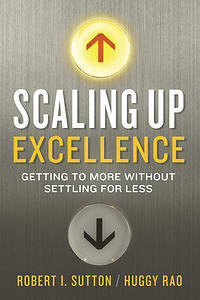 His latest book is Scaling Up Excellence (2014), co-authored with Bob Sutton.